DigitalNZ brings together more than 30 million items from institutions such as Puke Ariki so that they are easy to find and use. We added this one from this URL on 15 April, 2013, and last updated what we know about it on 21 September, 2017.
on or around the date 1974. 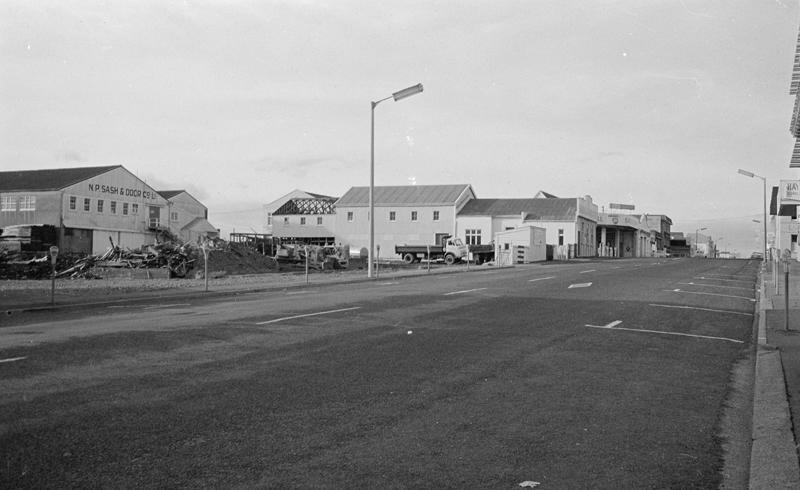 View of Gill Street, looking north towards Grundy's Garage on the corner of Gill and Liardet Street New Plymouth. The Sash and Door Company can be seen to the left of the image. This item is all rights reserved, which means you'll have to get permission from Puke Ariki before using it.